﻿ 华源凯马-WUXI WORDBEST KAMA POWER CO.,LTD. Wuxi Worldbest KAMA Power Co., Ltd. will attend the 125nd Canton Fair on April 15th to 19th, 2019. Exhibition Hall: Pazhou Exhibition Hall Exhibition Zone: Pint-size Machinery Zone Indoor Booth Position: 3.1C21-23 D13-15 Welcome! Wuxi Worldbest KAMA Power Co., Ltd. will attend the 123rd Canton Fair on April 15th to 19th, 2017.Exhibition Hall: Pazhou Exhibition HallExhibition Zone: Pint-size Machinery ZoneIndoor Booth Position: 3.1F39-40G05-07Welcome! 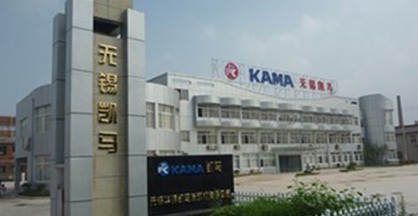 Wuxi Worldbest KAMA Power Co., Ltd. will attend the 122nd Canton Fair on October. 15th to 19th, 2016.Exhibition Hall: Pazhou Exhibition HallExhibition Zone: Pint-size Machinery ZoneIndoor Booth Position: 3.1F39-40G05-07 Welcome! Wuxi Worldbest KAMA Power Co., Ltd. will attend the 120th Canton Fair on October. 15th to 19th, 2016.Exhibition Hall: Pazhou Exhibition HallExhibition Zone: Pint-size Machinery ZoneIndoor Booth Position: 3.1 G31 G32 H17 H18Welcome!